FOOTBALL: Liverpool has served up a statement of intent with a 4-0 thrashing of Arsenal at Anfield taking the Reds to second on the English Premier League ladder. The home side was on top early after going ahead in the 17th minute through Brazilian Roberto Firmino's header. The darling of the home crowd, Sadio Mane, added a second five minutes before the break before Egyptian Mohamed Salah stole the ball from a hesitant Hector Bellerin 12 minutes into the second half before scoring the third. 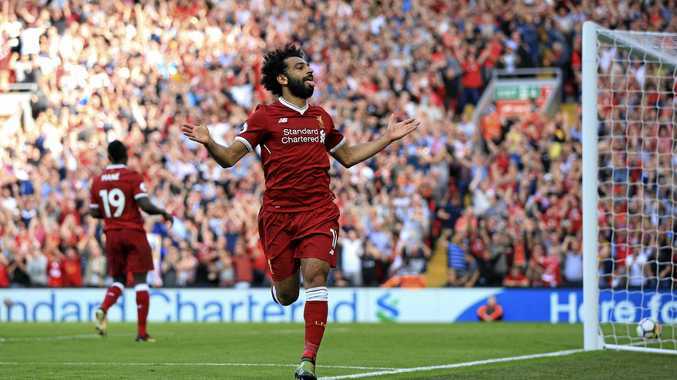 Salah created the fourth with a cross from the left which was headed home by substitute Daniel Sturridge. Arsenal manager Arsene Wenger described his team's hammering at "absolutely disastrous". "From the first to the last minute, not physically, not technically not mentally we were not at the level and we were punished," he said. Champions Chelsea delivered a second straight win with a comfortable 2-0 success at Stamford Bridge over Everton. The goals came from Spaniards Cesc Fabregas and Alvaro Morata as the home side eased to victory. Spurs, meanwhile, struggled again at their temporary home of Wembley, letting slip a 1-0 lead to draw 1-1 with Burnley. Tottenham dominated again but could not add to Dele Alli's second-half strike and Chris Wood punished some slack defending to earn Burnley a draw with his first EPL goal on his debut for the Clarets. Manchester United lead the standings with nine points from three games, two clear of Liverpool, Huddersfield Town, Manchester City and West Brom which remains unbeaten after a 1-1 draw with Stoke.